I'd like to think I'm right in thinking that for 99% of us, our dream skin involves super healthy, plump, strong, clear skin. Every new skincare launch promises this dream will become a reality but here we all are, still waiting for that secret, innovative product that is going to transform you into Rosie Huntington-Whitely. Sigh. Recently, following on from my The Skin Diaries journey, I've been really doing my research when it comes to skin deep beauty. There's one thing that crops up time and time again is collagen. I've always associated collagen with 10 Years Younger (remember that?!) and that awfully Botox-ed woman insisting every woman gets fillers and injects their face with collagen. Collagen feels like a real OK! magazine circa 2005 buzzword. So with my experience of collagen associated with anti-ageing, I never considered it should be something I ought to pay attention to on my quest to wave goodbye to acne prone, hormonal, oily skin. Let's just get things clear though - what the heck actually is collagen? Collagen is a protein that supports our skin strength (and even beyond - supporting bones, organs and muscles too), and it's something that makes up 70% of our skin. However, as time goes by and we get a little older, our collagen levels begin to deplete, hence all of the anti-ageing products infused with collagen. Making a little more sense? Now as a young 20-something, it's fair to say I shouldn't really feel the need to worry about collagen. However , as someone with blemish prone skin, when blemishes do appear it does affect the appearance and texture of my skin. Basically, collagen is something that will only benefit your beauty, and will be more beneficial to your skin in the long run. More collagen and better collagen will plump up the skin and said problems will decrease. I always feel it's worth getting clued up on these things earlier on in order to boost the long term benefits. So, what are the best ways to increase your collagen? The healthiest way is by enriching your diet with collagen rich foods. Anything high in Vitamin C will always be a winner: think strawberries, raspberries, watermelon, sweet potato and kale. Also ensure you are getting plenty of Omega's into your diet such as oily fish and chia seeds. These plump, rich foods will transform your skin and can improve your collagen's metabolism - yes, that's really is a thing! Sugar will have a huge impact on your collagen levels - your skin will appear dull and there'll be no healthy glow if you're gorging on sugary treats on a regular basis. I always notice a difference if my diet is a little too high in sugar, likewise when I'm reducing my sugar intake - hello glowing skin! For some, it may be easier to introduce supplements but remember that they are to be taken alongside a healthy, balanced diet. There's no point in taking supplements if you continue to live a lifestyle that will counteract or block the effects. The lovely team at Hellenia got in touch as they've just launched a fab new range of powdered collagen supplements. The new Naticol ProSport Hydrolised Marine Collagen Powder* is completely natural and is derived from a natural source. It's packed full of amino acids to support the promotion of healthy skin, and contains very high quality collagen protein. My favourite way to incorporate the collagen powder into my diet is by adding it to a super healthy, skin loving smoothie. Throw all the ingredients to a blender and blitz. Add water if needs be. Enjoy immediately. What I must point out though is that if you are feeling crappy about your skin not looking as flawless and fabulous, it's important to remember that we all have days when our skin isn't looking its best and those days take a huge knock on our confidence. If covering your self in make-up is what will cheer you up, go for it, but it's important to realise that if you want to make these changes that you remember to First Love Yourself. There's no point in making big cosmetic changes or 'attacking' your beauty if you can't learn to realise that who you are as a person is the one thing to focus on, above all. Beauty is something worth enhancing, not hiding and attacking. If you've got acne or wrinkles or your skin constantly looks unhappy, try focusing on what goes on inside as your exterior does not define your worth. Hellenia have launched the First Love Yourself campaign to highlight the importance of remembering that YOU come first and you are worth taking care of. Is collagen something that you consider when it comes to improving your skin? 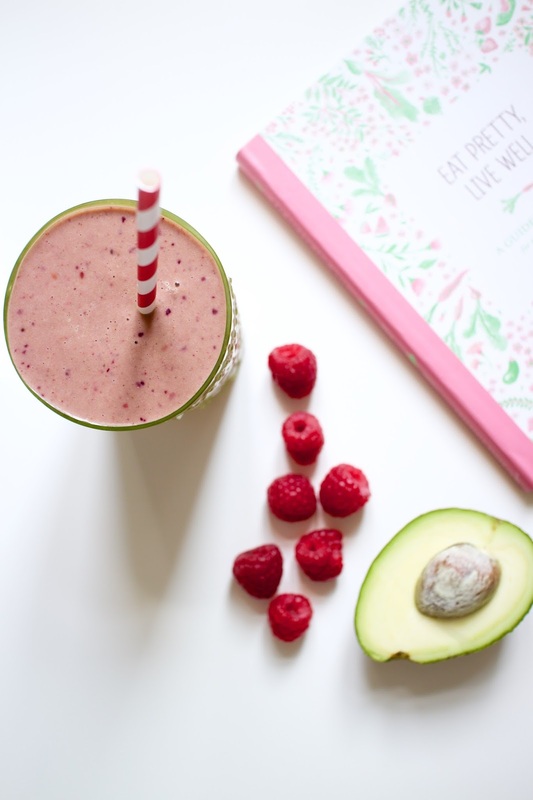 Do you have a favourite 'beautifying' smoothie that you go to in need of a pick me up? Do you think it's importance to First Love Yourself?